26. 11. 18 - WRWS/NRHA - 2018 NRHA Open Futurity First Go Complete. Going into the third section of the open first go at the 2018 National Reining Horse Association (NRHA) Futurity, Casey Deary and Gunnarickashay held the top score of the first go with a 224 [video]. With only 32 horse left to run, Craig Schmersal and Ladysdreamofblueeyes slid their way to a 224, tying Deary for the high score [video]. Price has only shown the gray mare three times, winning the Buckeye Reining Series Coughlin Automotive Futurity on her the first time. The pair faced a little bad luck at the All American Quarter Horse Congress but made it count today. When asked about his game plan for today’s run, Price said, “I really wanted to stay clean with that mare. She is so pretty and so physical how she does stuff. I just wanted to stay out of her way.” While talking to Price about the run, it’s very clear how much appreciation and respect he has for the mare owned by Amy Medows. Isnt She Perfect is nominated by Tamrack Ranch LLC. 24. 11. 18 - WRWS/NRHA - Second day of 2018 NRHA Futurity Complete. The competition stayed fierce as another 113 horse and rider pairs entered the Jim Norick Coliseum hoping to qualify for the National Reining Horse Association (NRHA) Open Futurity Finals to be held Saturday, December 1 in Oklahoma City, Oklahoma. After the dust settled and the last maneuver had been marked, Nathan Piper, riding Patriot for owners Shannon & Hershel Reid, had the highest score of the first go, second section with a 222 ½ [video]. 2018 NRHA Futurity - Nathan Piper - Patriot - first go second section - 222 1:2 from NRHA on Vimeo. Patriot is by NRHA Five Million Dollar Sire Smart Spook and out of Dunnit A Lil Ruf. Marking the second-highest score of the day was Vintage Galaxy (by NRHA Million Dollar Sire A Sparkling Vintage and out of Smart Lil Whiz) ridden by Martin Muehlsaetter. The pair slid their way to a 222 amongst some tough competition [video]. Vintage Galaxy is owned by Martin & Kim Muehlstaetter. Two riders tied for the third-highest score of the day. Casey Deary piloted Americas Supermodel (by NRHA Million Dollar Sire Walla Walla Whiz and out of Americasnextgunmodel) for owners Whitmarsh Arcese Partnership. Together they marked a 221 ½ [video]. Gunna Stop and Austin Lee Roush, who drew as the first draw today, made it count for owner Alexandria Gokey by also marking a 221 ½ [video]. Gunna Stop is by NRHA Million Dollar Sire Gunnatrashya and out of Stop Little Sister. Despite the best of efforts, no horse and rider combination could beat the 224 marked yesterday by NRHA Million Dollar Rider Casey Deary and Gunnarickashay. Equine enthusiasts and reining horse competitors from across the globe have traveled to Oklahoma City for the 2018 NRHA Futurity which started today. Over the course of the next nine days, horse and rider duos will lay down their best run in hopes of walking away with a coveted championship title. The Jim Norick arena saw 116 horses during the first go, first section of the NRHA Open Futurity. At the conclusion of the day’s competition, Casey Deary and Gunnarickashay (owned by Jody & Jolan Puno) held the highest score of the day with a 224 [video]. Gunnarickashay is by NRHA Million Dollar Sire Gunnaytrashya and out of Rondas Tio. Yonathan Baruch piloted Dolls Dun It Again (by NRHA Six Million Dollar Sire Hollywood Dun It and out of Chics Baby Doll) for owner Marc Gordon to a score of 222 ½ which gave them the second highest score of the day and the highest score in the level (L) 3 division [video]. Mike McEntire and Craig Schmersal tied for the third highest score of the day with a 222. Mike was aboard Pale Face Whiz (by NRHA Million Dollar Sire Pale Face Dunit and out of Lady Naskiia Whiz) for owners Everett and Karen Wiggins [video]. Schmersal rode Pale Quistador by NRHA Million Dollar Sire Pale Face Dunit and out of Luz Del Conquistador) for B S Syndicate [video]. Tomorrow’s action will include the second section of the first go of the NRHA Open Futurity in addition to the Adequan® North American Affiliate Championship Limited Non Pro. Mittwochabend-Veranstaltung mit Kenzie Dysli und Bridleless Cutting. Endlich ist es soweit: der Ticketverkauf für die AMERICANA 2019 ist angelaufen. Die Wartezeit hat sich gelohnt, denn dem AMERICANA-Showmanagement ist es gelungen, auch diesmal wieder eine vierte Abendveranstaltung in Europas größten Westernreiter-Event zu integrieren – und zwar eine ganz besondere. Neben den beiden traditionellen und heiß begehrten Abend-Shows am Freitag und Samstag sowie dem „ERCHA Nations-Cup” am Donnerstag stehen am Mittwoch mit „Choose to be free” gleich zwei Leckerbissen nicht nur für Western-Fans auf dem Programm: Zum einen wird Kenzie Dysli ihre bemerkenswerte Art der Freiheitsdressur präsentieren: die junge Pferdetrainerin, deren Pferde unter anderem in den „Ostwind”-Filmen auftraten, präsentiert ihre Pferde ohne Kopfstück und Sattel. Wer sich mit Pferden beschäftigt, weiß, welches Maß an Verbundenheit und Vertrauen zwischen Pferd und Mensch bestehen muss, um das zu erreichen! In dieser Show gibt Kenzie Einblicke in ihre Arbeit und zeigt, wie man eine derartige Harmonie zwischen Pferd und Reiter erlangen kann. Dabei sind für sie Vertrauen und Freundschaft, feine Kommunikation und Fairness wichtige Prinzipien im täglichen Umgang mit ihren Pferden und ihr Leitmotiv auf dem gemeinsamen Weg hin zur Leichtigkeit der Freiheitsdressur und der perfekten Harmonie des Reitens. Besonderes Highlight: Schon während der Abendveranstaltung können Zuschauer Kenzie direkt Fragen zu ihrem Training stellen, auf die sie dann eingehen wird. Eine andere Art der „Freiheit” stellen die Spitzenreiter des „World-Cup-Cutting” vor: die besten fünf Reiter des Go-rounds in Open und Non-Pro zeigen die hohe Kunst des Bridleless-Cuttings, also Cutting ohne Kopfstück. Sie beweisen, wie fein und leicht ihre Pferde an den Hilfen stehen und wie gut sie das Rind beherrschen. Selbstverständlich werden die Ritte gerichtet. Den Reitern winkt ein garantiertes Preisgeld von € 2.000. Nach der Abendveranstaltung besteht Gelegen­heit, mit Kenzie Dysli und den Cutting-Reitern zu diskutieren, Fragen zu stellen oder auch das eine oder andere Problemchen mit dem eigenen Pferd zu besprechen. Neben der Welt-Elite im Westernreiten präsen­tiert die AMERICANA auch Europas größte Messe rund ums Western- und Freizeitreiten. Die 51.300 Besucher der letzten AMERICANA waren jedenfalls restlos begeistert – 98% von ihnen empfehlen sie weiter! Mehr als zufrieden waren auch die 331 Aussteller: 72% bewerteten den Erfolg ihrer Beteiligung mit „sehr gut“ oder „gut“, weitere 20% mit „befriedigend“. Die AMERICANA ist zugleich die führende Informationsplattform rund um Westernreiten und Pferdehaltung. Ob Fragen zur Fütterung, zum Anreiten oder zu veterinärmedizinischen Problemen –, im AMERICANA-Forum werden die Besucher kompetent informiert und beraten. 2019 werden neben den klassischen Reit- und Pferdeartikeln erfolgreiche Themenbereiche wie Gesundheit, Reittourismus und Horse & Dog weiter ausgebaut. Neue Themen wie beispielsweise innovative Pferdehaltung oder ein Kinderprogramm ergänzen das umfassende Angebotsspektrum. Wer beim Weihnachtsgeschenk für seine Liebsten auf Nummer sicher gehen möchte, liegt hier goldrichtig: Mit einer Karte für eine der AMERICANA-Abend-Shows sowie der Abend-Veran­staltungen macht man garantiert nichts falsch. Tickets für die Abend-Shows und für den Tagesbesuch gibt es unter www.americana.de . Bestellungen können aber auch telefonisch unter 01806 - 9 99 00 00 getätigt werden. Insbesondere für die Abend-Shows empfiehlt sich rechtzeitiges Buchen – diese waren 2017 ausgebucht. Die Tickets für die Freitag- und Samstagabend-Show beinhalten bereits das Tagesticket. Die Abendtickets für Mittwoch und Donnerstag gibt es wahlweise mit oder ohne Tageskarte. Zudem gibt es eine Dauerkarte, die sowohl die beiden Abend-Shows als auch die beiden Veranstaltungen am Mittwoch- und Donnerstagabend sowie den Zutritt zur Messe an allen Tagen beinhaltet. 22. 11. 18 - WRWS/NRHA - Freestyle Reining Returns to NRHA Futurity. Freestyle reining unites the finesse and precision of reining with music, costumes, props, and theatrics. The combination creates some of the most entertaining performances a horse enthusiast could hope to see! Mark your calendars to witness the next installment of this crowd favorite on Thursday, November 29 at 7 p.m. during the National Reining Horse Association (NRHA) Futurity & Adequan® North American Affiliate Championship Show. “NRHA is thrilled to have the Invitational Freestyle Reining at the Futurity again this year. 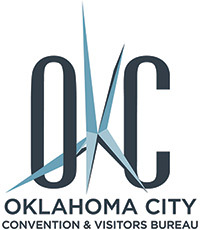 With the help of the Oklahoma City Convention & Visitors Bureau, we have established a fantastic lineup for this year’s competition. Everyone is invited to come out on Thursday night, and enjoy this exciting event at the Futurity,” said Shianne Megel, NRHA Senior Director of Events. Whether you’re a reining pro or simply someone looking for fun on Thursday night, this event is sure to be fun for all! Buy your tickets now at nrhafuturity.com or by calling the Oklahoma State Fair Box Office at (405) 948-6800. Also on the schedule for November 29, is an autograph session featuring gold, silver, and bronze medalists from the recent FEI World Equestrian Games held in Tryon, North Carolina. Just like Olympic athletes representing their home countries, these reining superstars rode for their nations for honor and timeless glory. Stop by the east concourse of the Jim Norick prior to the 7 p.m. Freestyle Reining and get their autographs! 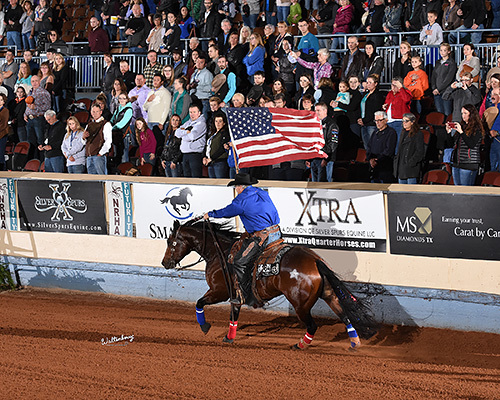 During the NRHA Futurity, the world’s best reining horses and competitors come to Oklahoma City to compete for an estimated total purse and cash prizes of more than $2 million. 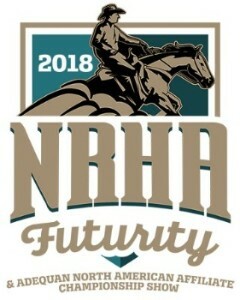 For more information on schedules, tickets, hotel accommodations, sponsors, and more, visit nrhafuturity.com. 21. 11. 18 - WRWS/AQHA - Stellungnahme der AQHA zur Aufkündigung der Zusammenarbeit durch die FEI aufgrund mangelnder Doping- und anderer Regeln. Die AQHA bestreitet die Behauptungen und äußert sich davon überzeugt, die von der FEI aufgestellten Regeln stets vollständig beachtet und zu keinem Zeitpunkt gebrochen oder mißachtet zu haben. Die Behauptungen der FEI sind unzutreffend und unbegründet; die AQHA begrüßt eine Fortführung des Dialogs mit der FEI! AQHA does not feel it has breached the terms of the agreement and welcomes continued dialog with FEI. AQHA’s commitment to the sport of reining and to upholding the well-being of the American Quarter Horse in competition remains a top priority. On November 19, the American Quarter Horse Association was notified that the Federation Equestre Internationale terminated its Cooperation Agreement with AQHA and NRHA due to breach of agreement terms regarding age divisions, reciprocity and steward/drug regulations. As discussed below, AQHA does not feel it has breached the terms of the agreement and welcomes continued dialog with FEI. To begin, reining became an FEI discipline in 2000 and was first recognized as a sport in 1949 by AQHA. AQHA is proud of the reining industry and the growth of this US-based sport worldwide. The American Quarter Horse is the ideal horse for reining, and breeders have taken pride year after year in the genetic base of the horses that are bred for and excel in reining. Pursuant to the Cooperation Agreement, all events specifically organized for horses 7 years of age and older are to be held under the jurisdiction of FEI. AQHA does not offer a class that is specifically organized for horses 7 years of age and older. At AQHA events, American Quarter Horses in the open division compete in junior reining (ages 5 and under) or in senior reining (ages 6 and older). With respect to the welfare requirements addressed by the Cooperation Agreement, AQHA’s regulations and practices, in particular those associated with stewards and drug testing, are consistent with and meet such requirements. Simply put, our top priority as an association of horsemen is the health and welfare of our sport and of this great animal. The Association has taken and will continue to take the appropriate measures to ensure the safety and welfare of the horses competing at AQHA-approved events. AQHA actively implements measures to protect American Quarter Horses competing in reining and all disciplines. AQHA began drug testing in 1973, establishing itself as a leader in welfare among equine breed associations. The drug-testing program is designed to ensure that horses competing in AQHA-sanctioned competition are doing so in a manner that will promote the safety and well-being of all horses competing and ensure the enforcement of fair and equitable rules and procedures. In each instance that FEI has notified AQHA of a penalty imposed by FEI as a result of a drug violation, AQHA has afforded reciprocity. In addition, the AQHA stewards program plays an important role in advocating for the horse and helping to safeguard fair competition. Stewards help to ensure that legal tack and humane practices are used and appropriate conduct is displayed at AQHA shows and events. AQHA stewards are trained and tested to protect these athletes and, most importantly, to protect the breed, advance animal welfare and ensure the integrity of the competition, including reining. Again, AQHA disagrees with the allegation that AQHA has breached its agreement with FEI and welcomes continued dialog with FEI. As always, AQHA’s commitment to the sport of reining and to upholding the well-being of the American Quarter Horse in competition remains a top priority. During the morning meeting between the regional groups and the Bureau, the Secretary General informed delegates that the US-based Reining bodies – the American Quarter Horse Association (AQHA) and National Reining Horse Association (NRHA) – are in breach of the terms of their cooperation agreement with the FEI. In order to ensure the integrity of the discipline and maintain a level playing field for all athletes competing in FEI Reining, the agreement with these two bodies has now been terminated. Both the AQHA and NRHA have been informed that a binding commitment to implement the FEI rules on anti-doping, stewarding requirements and the age of competing horses are prerequisites for any future cooperation. The Secretary General advised delegates that FEI Reining events will continue, and invited National Federations to provide feedback to the FEI on how they see the future of the discipline at international level. 20. 11. 18 - WRWS/FN/FEI - FEI eröffnet Bewerbungsverfahren für Weltreiterspiele 2022. Die FEI hat bereits zweimal das Bewerbungsverfahren für die Weltreiterspiele 2022 eröffnet, jedoch bisher keine realistischen Angebote erhalten. Deshalb wurde nun während des FEI-Meetings in Manama bekanntgegeben, dass das Bewerbungsverfahren für die Weltreiterspiele 2022 jetzt für alle Disziplinen einzeln eröffnet ist. Angebote zur Austragung mehrerer Disziplinen werden bevorzugt berücksichtigt. Die Weltmeisterschaften in der Dressur und Para-Dressur müssen auf jeden Fall zusammen ausgetragen werden. Laut Einschätzung der FEI bedeutet das nicht das Ende der Weltreiterspiele 2022 und der Möglichkeit, doch noch einen Veranstalter für alle sieben Disziplinen gemeinsam zu finden. Die FEI betont, dass die Sicherstellung der Austragung der Weltmeisterschaften 2022 in den olympischen und paralympischen Disziplinen oberste Priorität hat, vor allem im Hinblick auf die Qualifikationen für die Olympischen Spiele 2024 in Paris. Kandidaten für die Austragung der verschiedenen Weltmeisterschaften 2022 können sich bis Ende Februar 2019 bei der FEI melden. Während der Generalversammlung 2019 werden die Weltmeisterschaften der verschiedenen Disziplinen dann vergeben. Die Europameisterschaften 2021 werden während des FEI-Sports-Forum im April 2019 vergeben. Über die Ausrichtung der Weltcup-Finale 2022, 2023 und 2024 und der Europameisterschaften 2023 wird im November 2019 beschlossen. 19. 11. 18 - WRWS/AQHA - Richtig angaloppieren mit minimalen Hilfen. Horse-training tips to get your horse to do correct lope departures with minimal cues. In most classes, both western and English, a good lope or canter departure will lead to a better execution of your maneuver. A good lope departure is when a horse responds to a minimal cue from the rider with willingness and collection. It’s important in every AQHA event. In western riding, it’s scored. In western pleasure, a lope departure sets up your lope. In horsemanship or hunt seat equitation, a prompt lope or canter departure is indicative of the rider’s skill level. It’s much easier for a horse to carry himself after he has departed correctly than it is to have a bad departure and try to correct it as you go down the pen. Are you looking to make your rides more enjoyable? Check out AQHA’s FREE How to Build a Mounting Block e-book. With this expert instruction, you can create a tool that will help you start each ride off right. As a judge, when I see a horse depart to a lope from a jog, I consider it a bad departure if a horse increases his cadence of step at the jog and trots into the lope. But it is all right for that horse to take a step, collect himself and then depart. From the walk, again, it is all right for the horse to take a step to collect himself, move to the rider’s cue and then step up into the lope. I expect the same thing from a stop - I think the horse has to take a half step to collect and then lope. A good start is essential to a successful training session. Download AQHA’s FREE How to Build a Mounting Block e-book and learn how to create a tool that will make life easier for both you and your horse. In the past, we allowed horses to kind of rush into the lope. We wanted a horse to go from a dead stop into the lope, and it wasn’t as pretty as what is done today. To read more about lope departures, to go AQHA Daily. Die Beiträge der vorangegangenen Wochen finden sich im WRWS-Monats-Achriv.